1943. OC Roehr, Mayor; FG Godd; Al Hughes; Fred Inkster, Pres. of Council; E.J.Duis, Recorder; (Joe Nemec); (.... Donnely), Review owner; Wm. Knowles, 1st Chief of Police; Colin Livingstone; .... Baneville; Eugene Worthington, absent. 1943 Oswego City Council. Transcription 1943. OC Roehr, Mayor; FG Godd; Al Hughes; Fred Inkster, Pres. of Council; E.J.Duis, Recorder; (Joe Nemec); (.... Donnely), Review owner; Wm. Knowles, 1st Chief of Police; Colin Livingstone; .... Baneville; Eugene Worthington, absent. 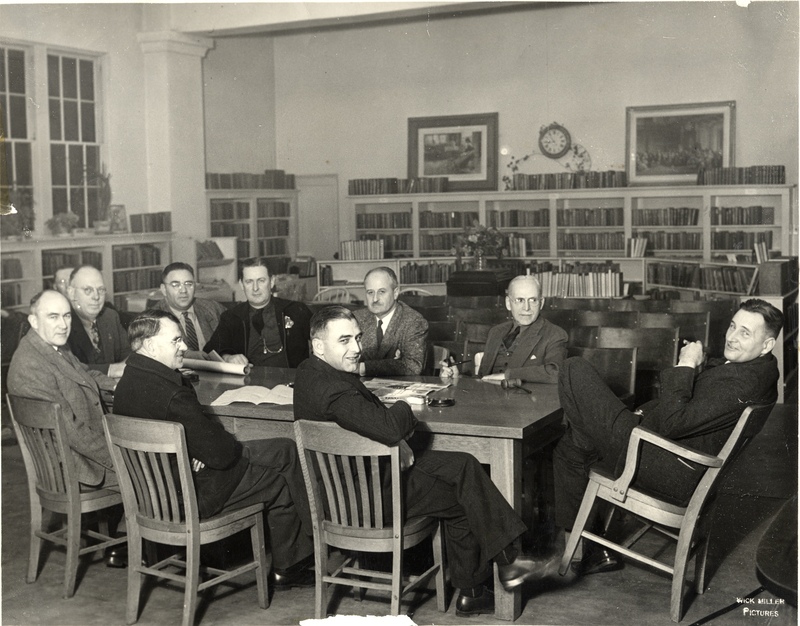 1943 Oswego City Council.